July 5th saw myself and the other half set off early for Cornwall. With sunny weather and low winds forecast, it didn't look perfect for the Bass comp but for me and the species hunting crew, it looked bloody perfect! I'd been really busy in the lead up to the festival and hadn't had time to formulate a solid plan but we had a few hours in the car to mull over the Ordinance Survey map. It made sense to me that without any prior experience of the marks and their inhabitants I should look for varied ecosystems to maximise my chances of multiple species. This roughly translated to harbour, estuary, rock marks, mud and sandy bays, and each I could relate to the species I might expect to find there. By the time we crossed the border into Cornwall I knew I should start at Mevagissey Harbour as I knew it had been popular in recent years and was possibly going to get hammered early on. After visiting Ben's new shop in Wadebridge to register and take a look around we headed down to Meva. The decision was right. It was already busy and I was playing catch up. I set about getting my eye in with a Pollock - which in hindsight was a pretty stupid idea - they're everywhere! But it got me up and running. Shortly afterwards, and after meeting Reuben and Will from specieshunt.weebly.com . 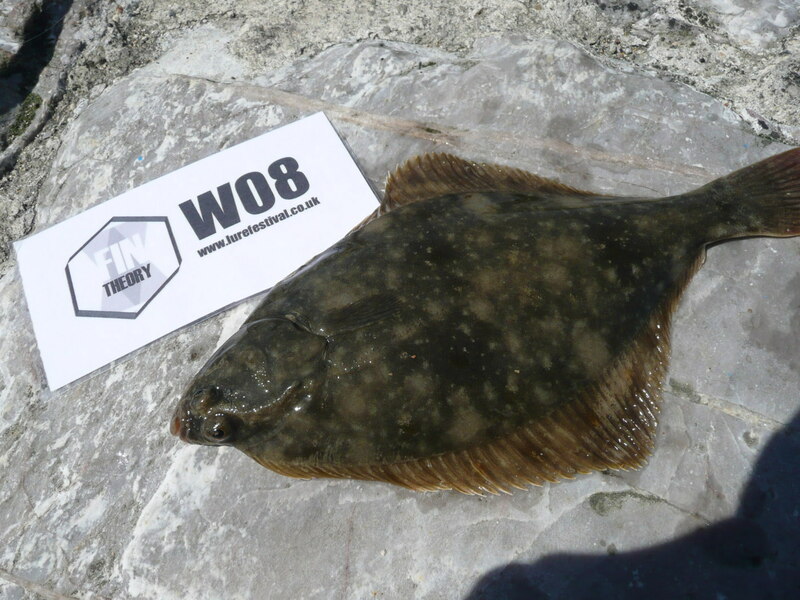 I had a stroke of luck with a Flounder - my first of the year. To be honest, that would usually be worth the drive on its own. To have a bonus fish so early gave me confidence but I was unable to keep the momentum up throughout the day. I got fixated with trying to catch the usual suspects and for whatever reason I was struggling. My plan to keep moving faded away along with the fish and I finished the afternoon with only 4 species - 2 off my target for the day. That night under darkness I fished 'the river'. This fishing is completely alien to me. We don't have anything at all like this down south. I was fishing in darkness at low tide in a tidal estuary system with absolutely no idea what was in front of me in the gloom. I didn't know if it was metres deep or just inches (I still don't to be honest!). I set up with a paddletail to try for a small Bass - that's what I wanted here - and was surprised that pretty much straight away I had some touches. As it happened, these turned out to be obliging Pollock. There were clearly lots of fish there and I really enjoyed the few hours spent here, but alas I couldn't find any new species. Unlike 'the youth', I dragged my old bones away for a few hours shut-eye in the car park. Alarm went off at 5am. No real plan but ready for anything. No food. No drink. 4 hours sleep. But I'm fishing again. I fished a harbour wall that 3 guys had camped out on all night. I arrived as they left in the mist and although it was nice to see some friendly faces and have a quick chat, it did nothing for my confidence for the mark. So it was with a reasonable amount of unexpected pleasure that I hooked a much needed Ballan on the drop shot. I guided her onto the slipway below me and climbed down to take the required photo. I was then rather stupid. I realised how tired I was when I threw the fish back without unhooking it first. "Nob." Lol. It wouldn't have been anything more than a funny anecdote if it wasn't for the fact that the rod was 5ft above me on the harbour wall. The weight of the Ballan won and I cringed as I heard the crunch behind me. I now have a pretty impressive battle scar on my otherwise mint Twin Power but I was reasonably thankful that I'd not dented the spool lip or scuffed the bail arm. The rod rings, to my surprise were still intact... or so I thought. After a few more chucks and no inquiries I decided to move spots. As I walked down the deserted lane my rod tip clipped an overhanging bush and the tip ring snapped off. Damn it! By the way, rings aside, I think it's actually impossible to break my Garbolino. To quote my mate Dan's response to the news over text, "it's been through the wars that rod" - as if trying to make me feel sorry for years of cruelty and abuse. Rod down, I headed up the hill and back to the car. Maybe I should have some food before any further mishaps. By 8am the sun is already baking hot. Despite the fatigue, I'm really enjoying myself. The missus is doing a great job of being my surrogate fishing partner and helps me bounce a few ideas around for new marks, and get gee'd up. Off to Falmouth. 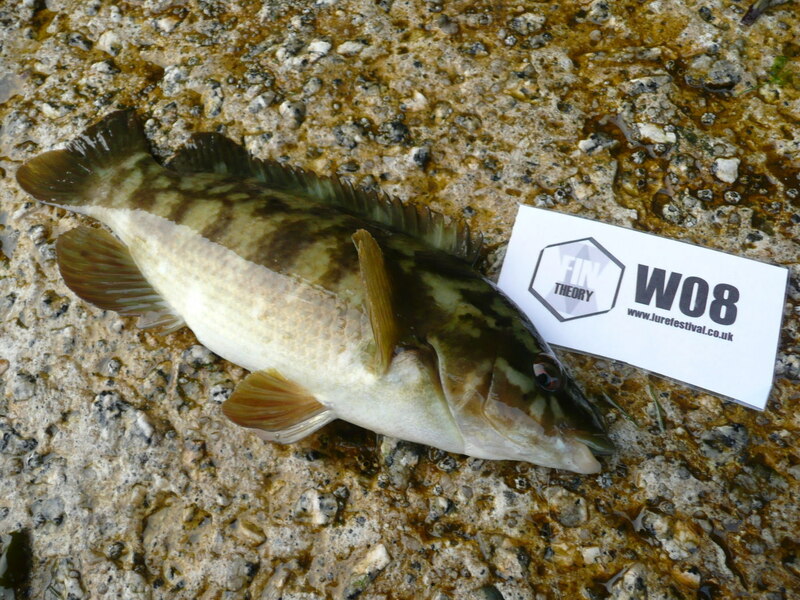 On the map it looks familiar to some of the marks I fish in Portsmouth... and I still need gobies and blennies! 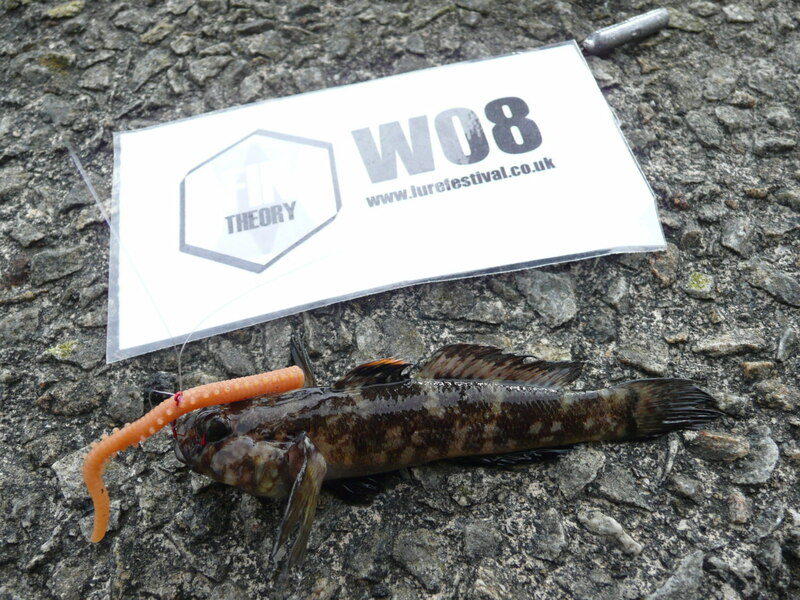 Lead by a lack of local knowledge, in the most unlikely of marks - somewhere I would be surprised if anyone has ever fished before - I had my goby. A handsome Rock Goby. That'll do. After yesterday's stale, one-location 'strategy', we're both enjoying moving around. "Let's keep moving" says the missus and I agree. I'm still really chuffed that my watercraft worked out, even now. 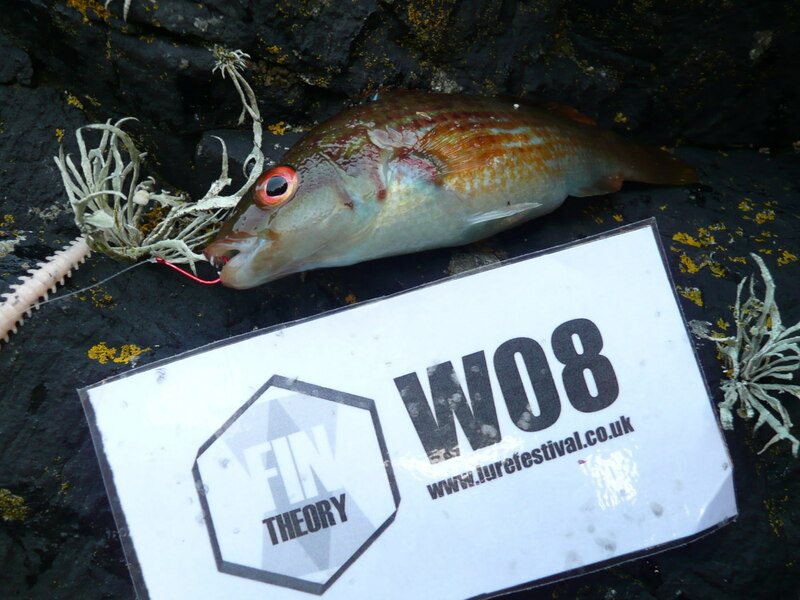 It would have been my first ever lure caught Turbot, but actually what it meant was that I wasted another hour or so trying to repeat the success without any luck, only finally succumbing to casting over the rocks for an obliging Pollock to get the rod bent. Overall, really happy, but another bonus fish would have been nice. Early afternoon day 2 we hit the road, off to somewhere I have fished a little bit - The Lizard. After something to eat we hiked to a mark I have fished once before and promised myself I'd return. It's a lovely mark with access to deep water, rocks, weed beds, sand and mud. The kind of mark I'd love to have more time to work out. The water was crystal clear and I was sight casting to anything I could make out on the bottom. I caught quite a few fish in this manner but couldn't find any new species. All the while, the water in front of me was filling up with sandeel. More and more were piling in and it was starting to look like something out of Blue Planet. It was feeling fishy as the evening approached and the light became less ferocious. Then like someone flicking a switch, the odd splash would happen and the spray of fleeing baitfish. Metal time! Fishing on towards darkness the fishing was fantastic. 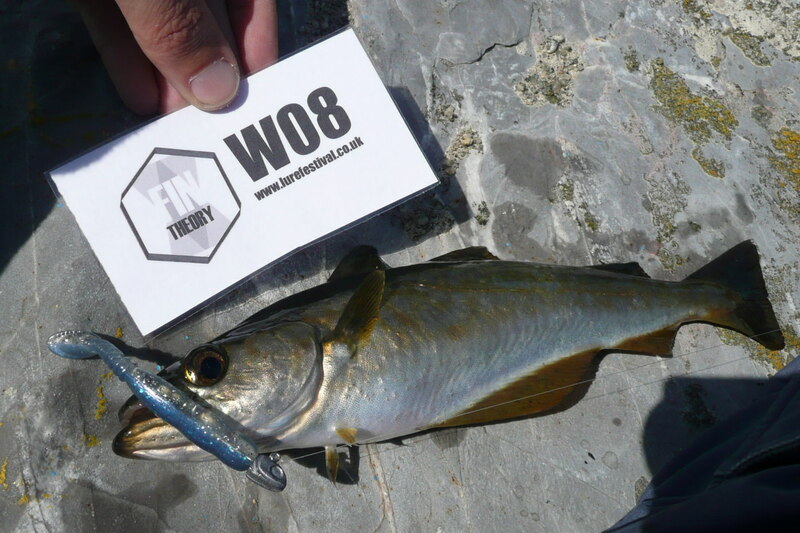 I didn't manage a Bass or a Mackerel but it was often a 2lb Pollock per chuck on the sink and draw. Cast. Flip the bail arm over with rod tip high. Lower tip under minimal tension as the jig sinks. WALLOP! Absolutely loved it. Superb light rock fishing. Alas, we needed to get to our next spot and we had a hike back to the car. I could have fished on indefinitely there. Day 3. It's about pride now. 4.30am start! I am focused. Going to catch a Mackerel. I know it. Metals again. Boom. 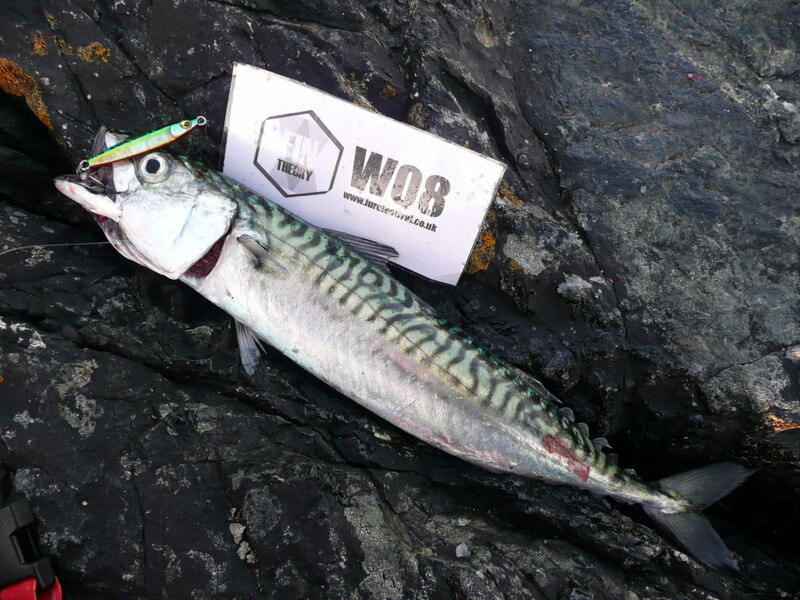 Mackerel on the rocks and wrestled into submission for a photograph. Why are they all so camera shy? Quickly scale up for a shot at a Bass. In fact the first and only time I use anything other than my LRF gear all weekend. The water is too glassy but I put on my best show with a Patchinko while the light is still right. Unfortunately nothing. No signs. No time to delay, the clock is ticking. Back to rockfishing. Confidence method - dropshot. Out comes the Gulp Sandworms. They've outdone Isome over the past few days - something I've seen before. It's quite ungainly fishing straight down the ledges with my remaining LRF rod. At 8'6 I'm having to move myself around to get the tip where I want it. Not ideal when I'm perched on a sloping rock face but need to man-up. Bites straight away. With a couple of decent Ballans enjoyed, I get a finer rattle. Something has made it to the worm before the Ballan. As it comes up through the gin clear water I see a hint of blue. Blue? Blue? The mind cogs are whirring and the fishy photo-fit is ruling out candidates double quick, like a piscatorial game of Who's Who. No! Is it? ... It can't be. IT IS! My first ever Rock Cook (bait or lure)! Now that really is worth all the effort. 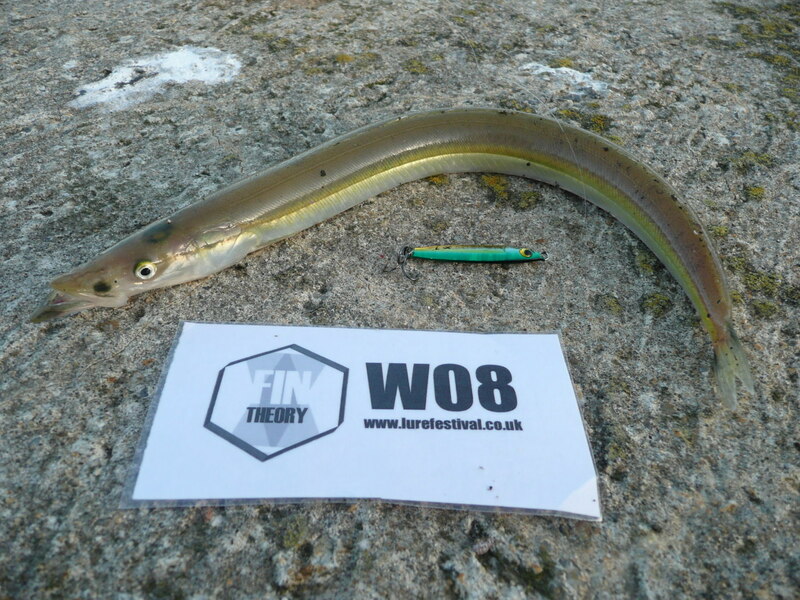 Pressure off in some respects but that is 9 species and there's something reassuring about double figures. Not long after, I haul in a Goldsinney - my first of the year - and we've done it. 10 species. Not ashamed of that regardless of the result. Try as I may to snare the illusive (not often) Blenny [there's skill in missing a Blenny for 3 days on the trot] I don't manage to add anything more in the final couple of hours before we have to race back to Wadebridge for the whistle. I am buzzing. 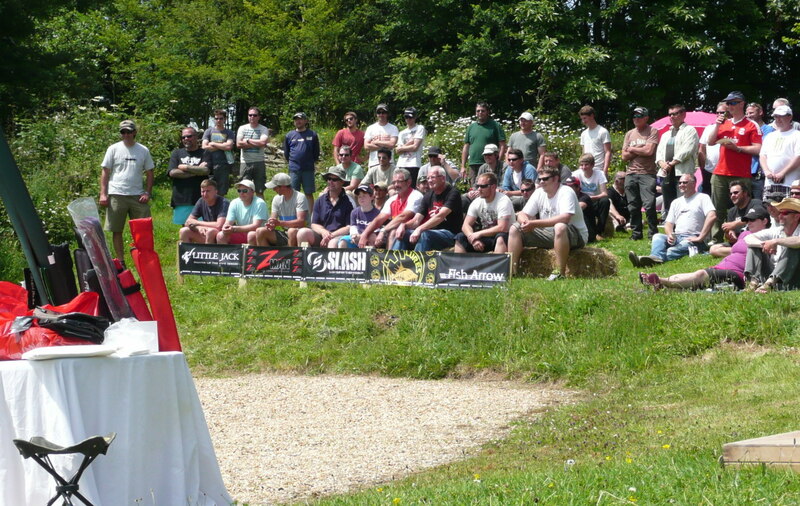 What a great event. A mammoth session. Undoubtedly only repeatable on a yearly basis. I've ended with my personal target of double figures. 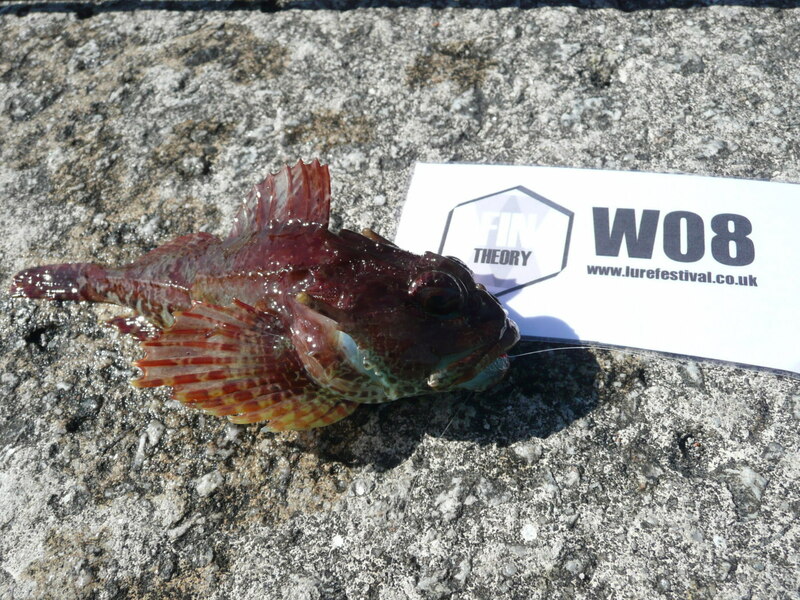 I've hunted out and hooked my first lure caught Turbot. I've landed my first LRF Launce and the icing on the cake is that beautiful little Rock Cook. 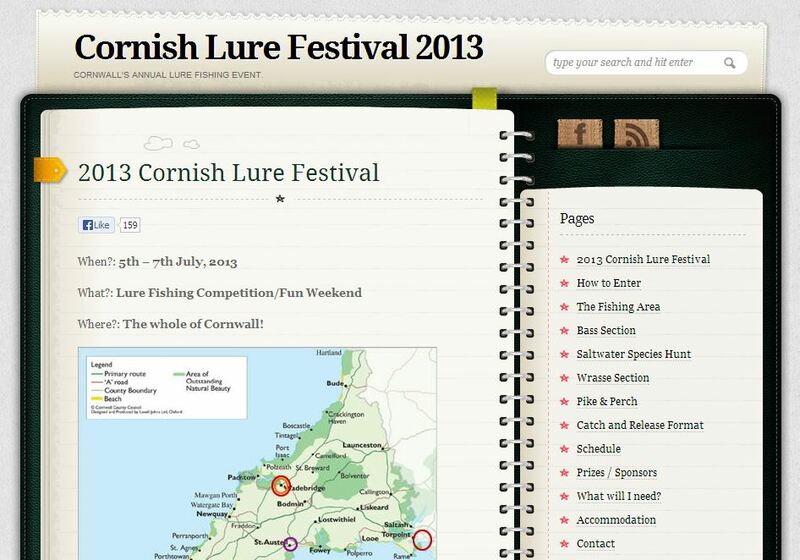 And it's all thanks to the Cornish Lure Festival and its sponsors [The Art of Fishing & Fin Theory]. 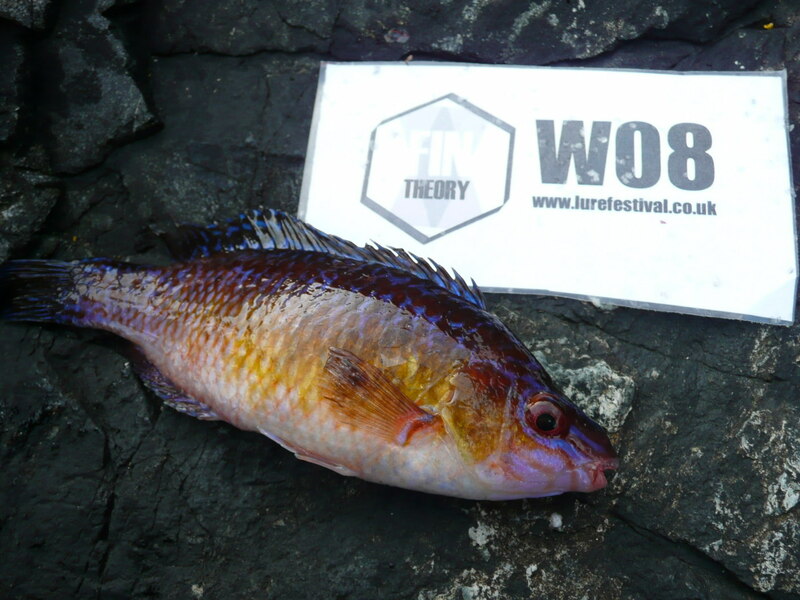 Rock Cook – one of the most elusive fish ever!!!! Was for me, certainly. 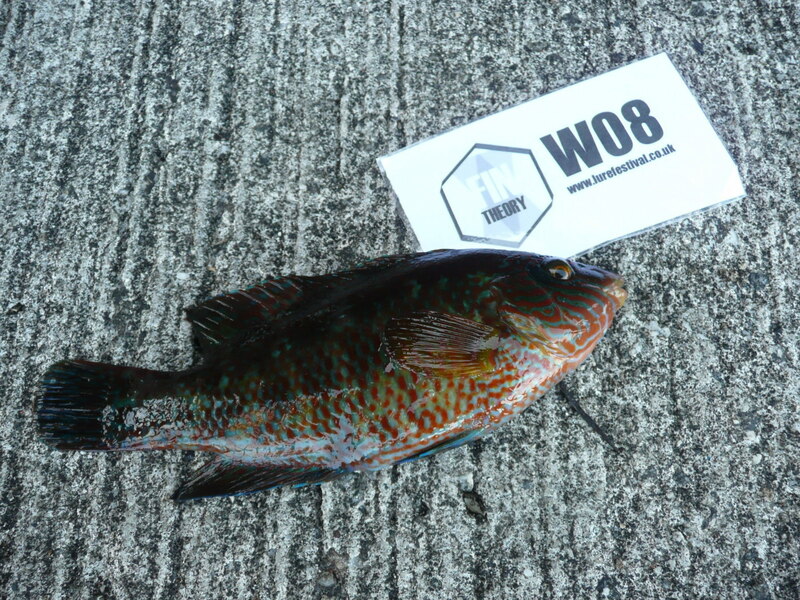 Red Band Fish next!